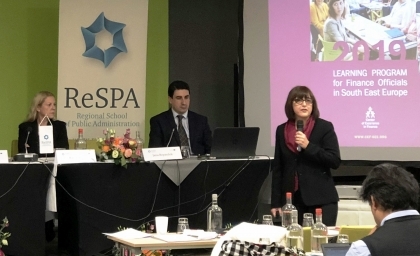 CEF Director, Jana Repanšek, participated at ReSPA conference on Co-operation for Public Administration Reforms in the Western Balkans. She spoke about complementarity of CEF’s and ReSPA’s portfolios and put forward 12 concrete areas for cooperation in the next years. She also presented the forthcoming action Fiscal Implications of Structural Reforms, primarily targeted to ministries of finance and line ministries in the EU pre-accession countries. 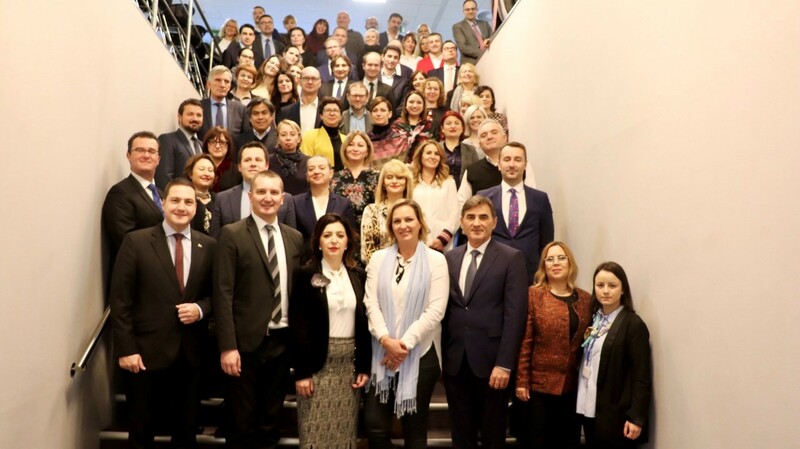 The two-day conference that took place in Brussels on November 21-22, brought together high representatives of Western Balkan state administrations. They reviewed and discussed achievements resulting out of support to governments within ReSPA’s remit. ReSPA supports regional cooperation in the field of public administration in the Western Balkans. It is an important partner of the CEF in tackling reform challenges in the region of South East Europe. Memorandum of Understanding signed on April 2018 by directors of the two organizations sets a frame for organizations` mutual cooperation. It reflects a long standing aim of both organizations to jointly tackle reform challenges in the region of South East Europe within their respective portfolios. 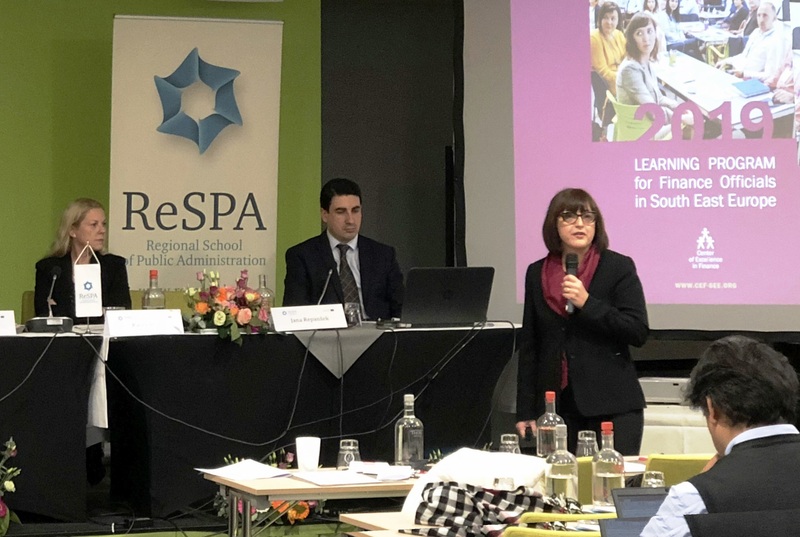 The CEF supports public financial management and central banking capacities of public officials, while the ReSPA contributes with its program devoted to public administration reforms. The partnership reinforces sustainable capacity development of public officials from organizations’ beneficiary countries.